If you’re like most dog owners, you love your pooch unconditionally. You might even spoil him or her…a lot. And that’s completely normal! We all do it! If you overdo it, though, you could unintentionally make him obese – and this could result in some pretty serious health issues. These are just a few of the reasons that you might have a fat dog or dog obesity. Whether you’re talking about a dog, a human, or just about any other living thing, obesity occurs when too many calories are ingested and not enough are burned off by exercise. 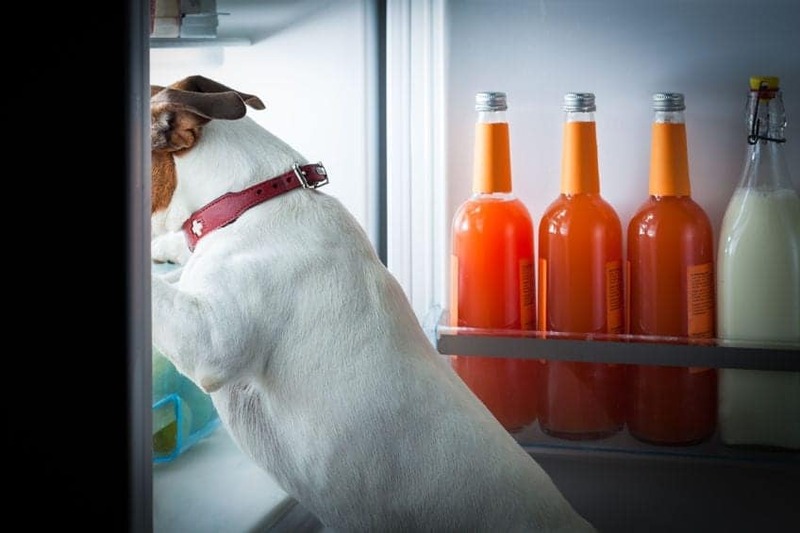 The food a dog eats is stored as energy, and if he eats too much, the excess will be stored as fat. 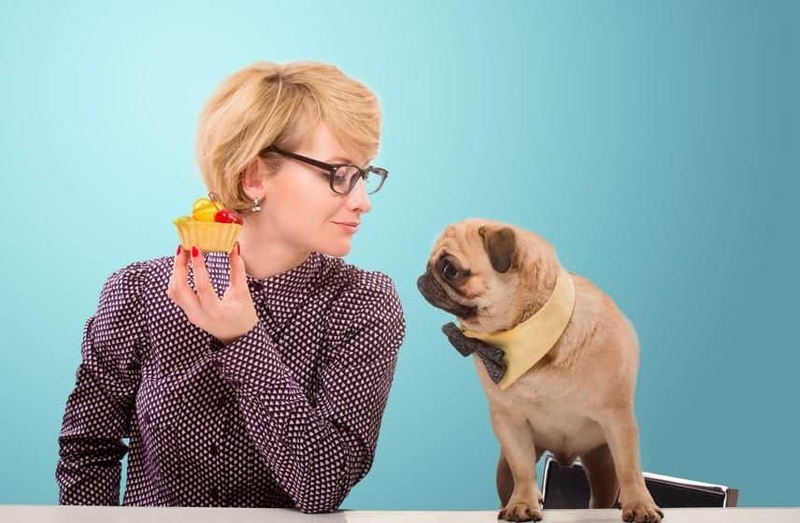 There are a lot of factors that can lead to obesity in dogs, including a high-fat diet, too many table scraps, and not enough exercise. You might be giving your dog a healthy type of food, but if you give him too much, you’re not going to do him any good. Age can play a role, as can heredity, breed, and even gender. And as odd as it may sound, dogs with overweight owners tend to become obese as well. A dog could have some sort of metabolic problem, such as hypothyroidism, increasing the chances he’ll be obese. This condition occurs when a dog’s normal metabolism rate slows down, reducing the amount of calories he needs as a result. Unfortunately, some breeds are simply predisposed to obesity, such as the ones mentioned earlier. If you have one of those breeds, or a Collie, Dachshund, or Basset Hound, you need to be particularly vigilant when it comes to his weight. Your dog will be a higher risk of obesity between the ages of 2-12, with the highest risk starting at the age of 6. The reason is simple – the older a dog gets, just like a human, the less active he will typically be. However, if a dog becomes obese before the age of 2, that’s a definite problem that needs to be medically addressed. When we’re stressed, most of us tend to eat more. Dogs are no different. If someone new enters the household, such as a baby or an additional dog or cat, your “incumbent” dog might gain weight as a result. But some dogs become obese because they’re simply bored. If they get into the garbage they’re not necessarily being bad, they just don’t have anything else to do. Some dogs tend to eat more in multi-pet homes because they feel a sense of competition – they feel they need to eat more as a result. Veterinarians sometimes have to prescribe powerful drugs in order to address a dog’s illness. These can have a major effect on not only a dog’s appetite, but his metabolism as well. Some dogs develop a form of diabetes known as non-insulin dependent diabetes mellitus, which can lead to obesity. It occurs when an obese dog needs to produce more insulin, which, in turn, increases his appetite and the amount of fat he accumulates. As the disease develops, the dog can’t produce enough insulin to meet his body’s demands, increasing blood glucose and further stimulating the accumulation of fat.2 Dogs with this condition can often become extremely overweight. Since these issues can be associated with other health problems, you should see your vet before automatically assuming your dog needs to go on a diet or be put on some sort of exercise regimen. Other potential issues need to be ruled out first. It’s very important that you stay alert to changes in your dog’s weight and take action if you have any reason to believe he’s becoming obese. Even a small amount of added weight could reduce his lifespan — and we all want our pets to live longer — so this is obviously something that you need to take seriously. Obesity can also lead to health problems such as an increased risk of arthritis, cancer, reproductive problems, orthopedic diseases and many others. 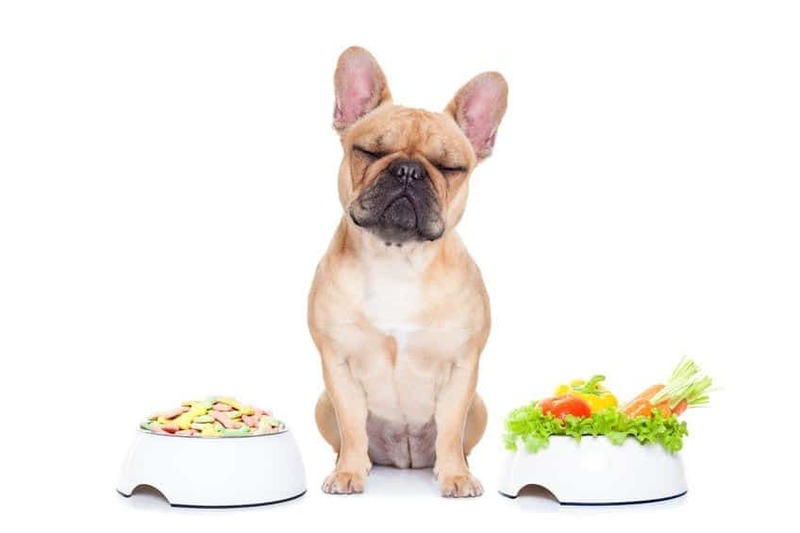 Concentrate on feeding your dog a healthy diet early in life to reduce the chances he will become obese. Try feeding him small meals throughout the day if possible, rather than big meals in the morning and at night. Also, you need to take him out for a brisk walk at least once a day – two times a day would be even better. A combination of diet, dog exercises, and medications can also be effective in some cases. Please, keep a close eye on your dog, and get to a vet if you think there’s a problem with his weight. It might turn out to be the best thing you could ever do for your beloved companion. 1.”Dog Obesity | Information On Dog Obesity”. Petwave.com. N.p., 2017. Web. 22 June 2017. 2.”2010 AAHA Diabetes Management Guidelines For Dogs And Cats | AAHA”. Aaha.org. N.p., 2017. Web. 22 June 2017.